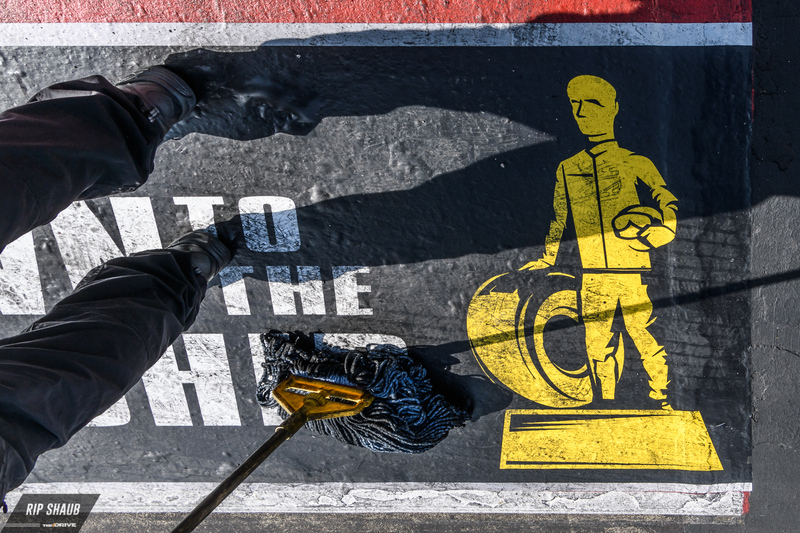 These 30 photos show the surprising artistry behind one of the most brutal motorsports on asphalt. 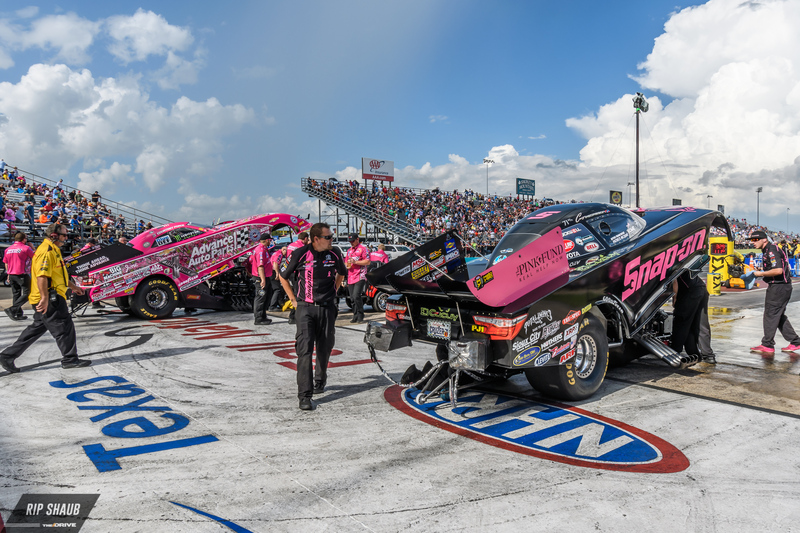 On-track NHRA action is an impressive spectacle, but there's much more to it than the few seconds of thunder it takes to blast through a quarter-mile. 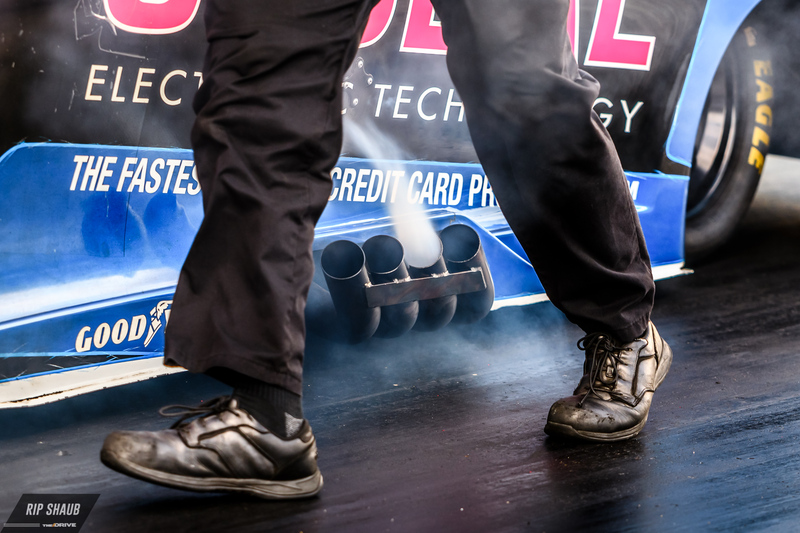 The Drive spent some extra time trackside at the series' recent Fall Nationals event, in the paddock and staging lanes, capturing the lesser seen sights and details of a race weekend with the traveling drag racer circus. 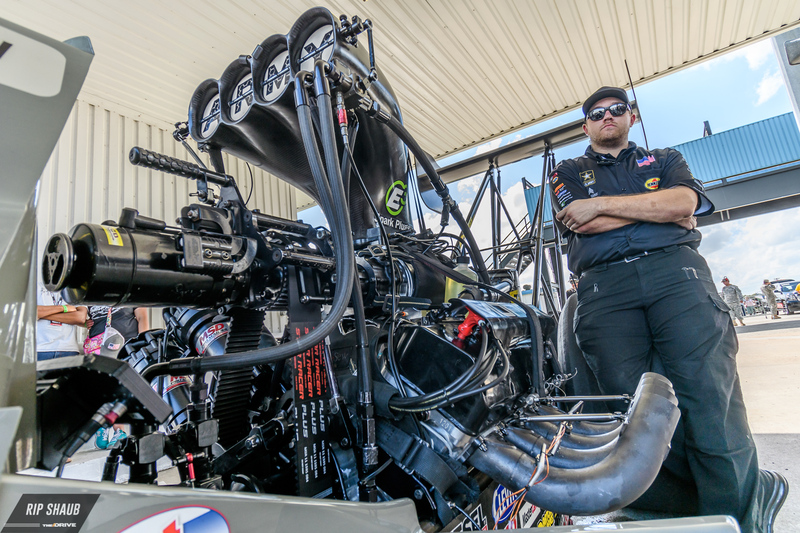 Here's a look into the hard work and elbow grease it takes to prepare and maintain those 10,000-horsepower machines, along with a few others—just for fun. ...and wrinkling at the launch of a pass. Kelly Clontz preps for her burnout as a crew member readies the starter for her bike. Jason Line in his Summit Camaro doing a burnout during Pro Stock qualifying. 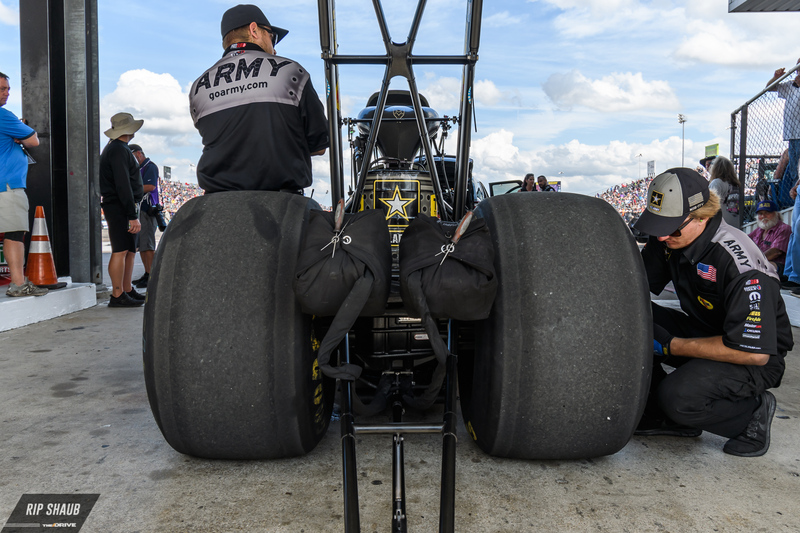 Brittany Force again, focusing before a qualifying pass. 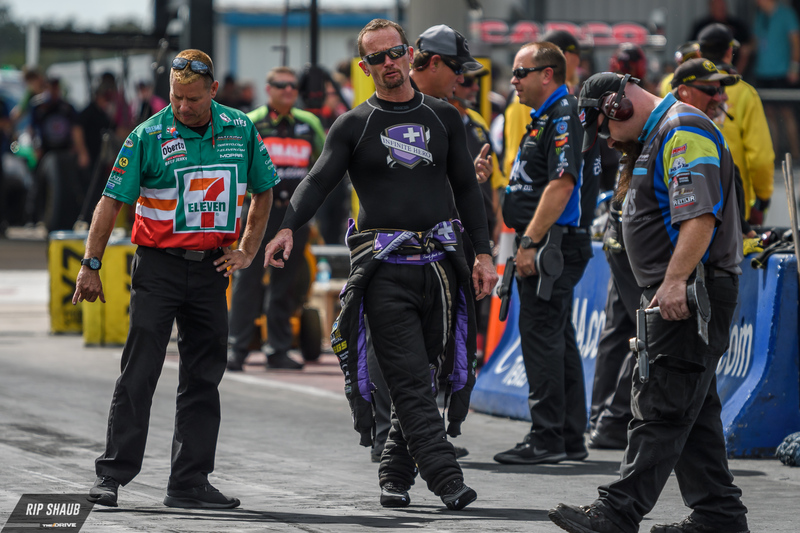 Jack Beckman's crew readies his Infinite Hero Funny Car. 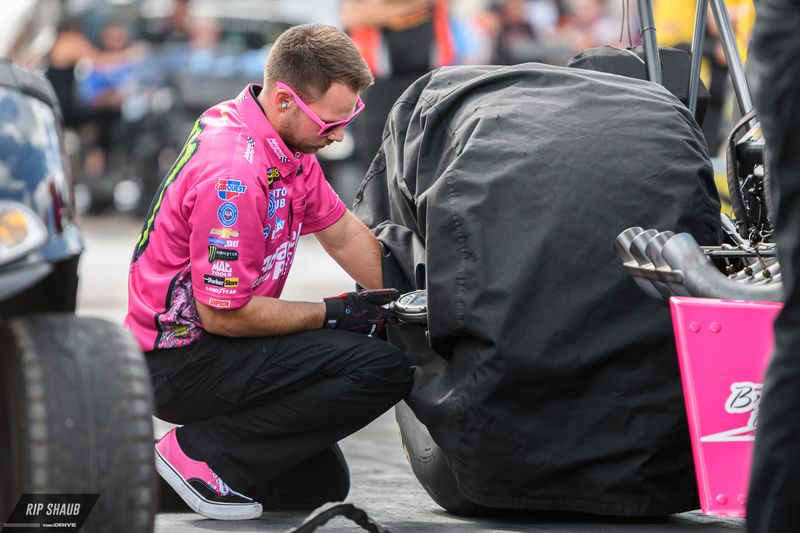 Jeff Diehl's crew works on his Gas Monkey Funny Car. 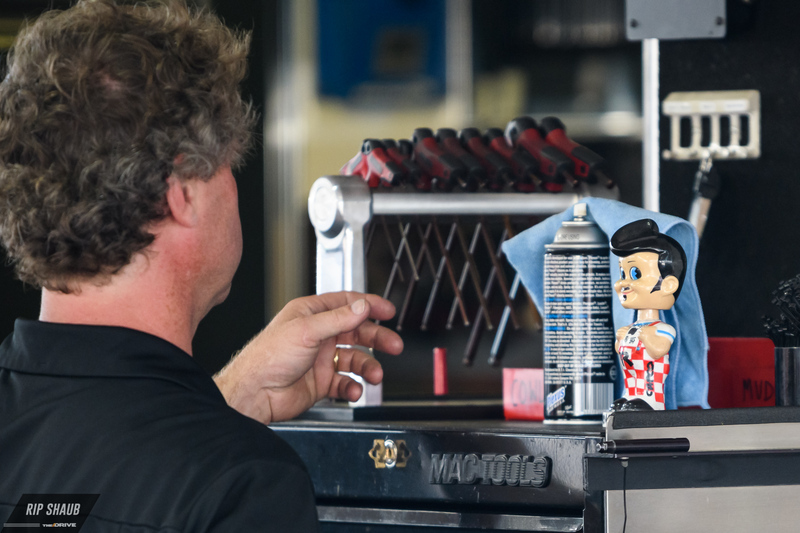 Car prep between qualifying heats. 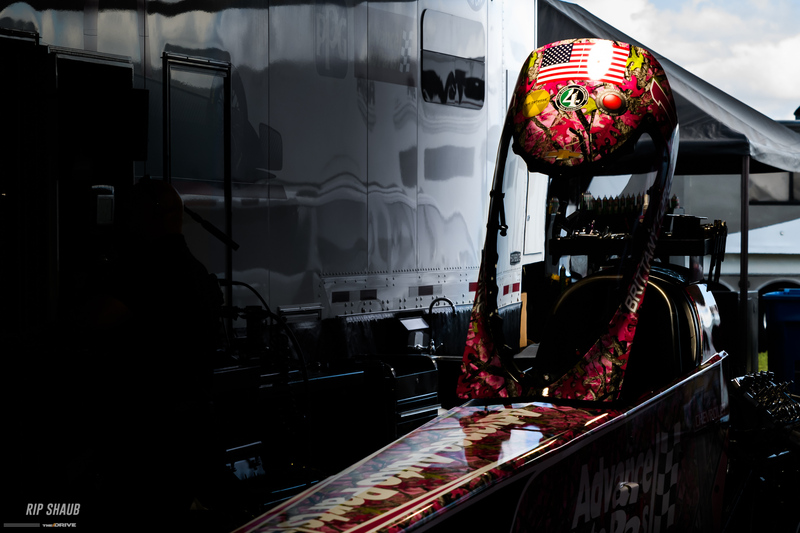 Steve Torrence's crew works on his Top Fuel dragster. Engines are rebuilt after every pass. 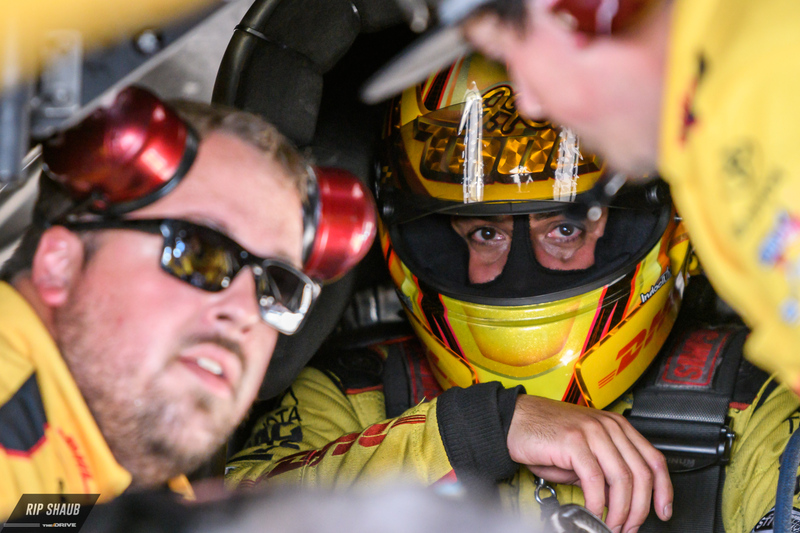 A sportsman driver waits in the staging area. 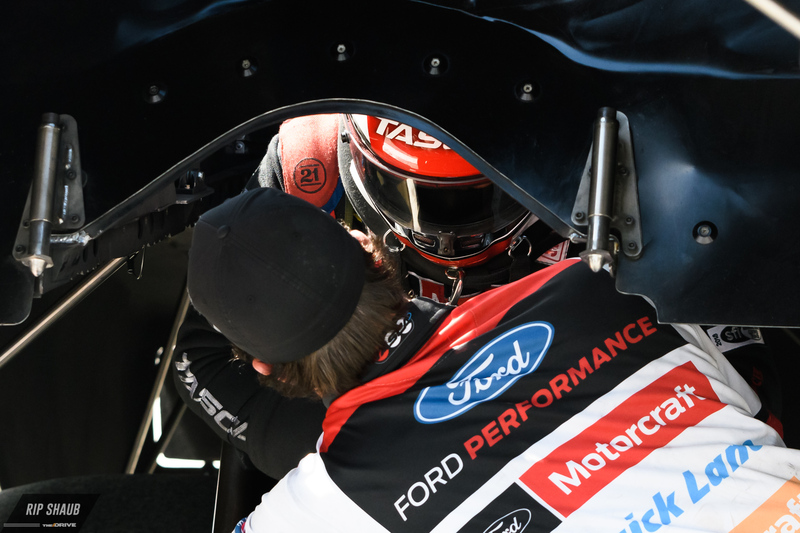 A crew member attaches Robert Hight's HANS device in prep for an elimination pass. 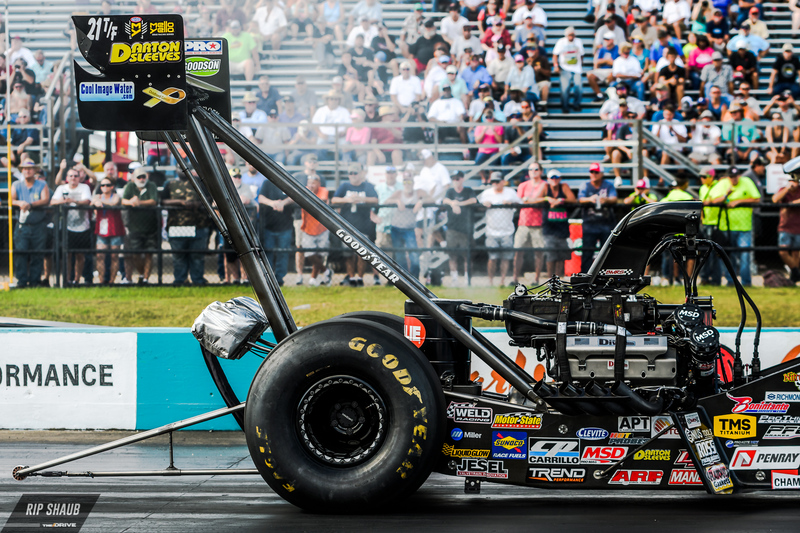 What happens when hundreds of thousands of horsepower gets together in Texas? Burnouts. Lots of burnouts. 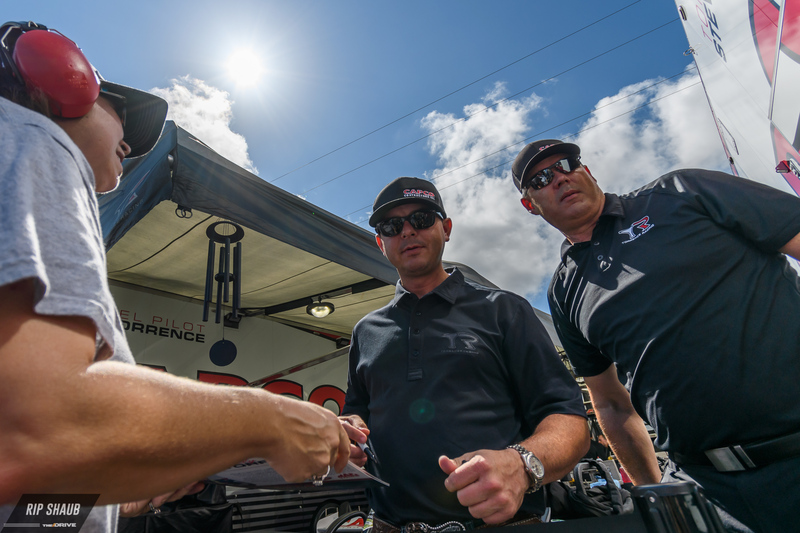 It hasn't exactly gone according to plan for the Force family while at the NHRA Winternationals. 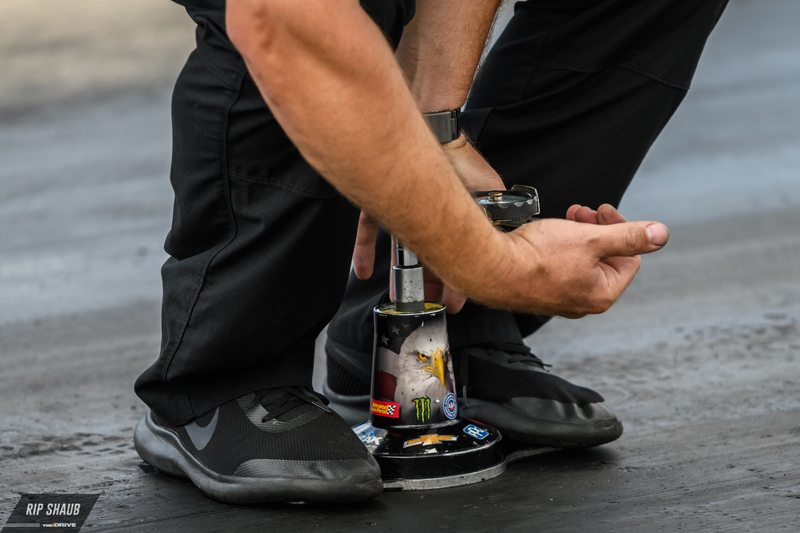 The iconic American performance brands renew their commitment to the series and its top racing teams.